Today's affordable, highly-adjustable package bows provide everything you need to start shooting accurately your first time out. If you're a newcomer to archery and just getting ready to make your first bow purchase, the great news is that there are plenty of new bows available that will allow you to enjoy hours of shooting right out of the box, without draining your bank account. These bows, which are most often sold as a package deal that includes all the accessories, are a newcomer's dream. This is because the latest technology has allowed them to be highly adjustable in both draw weight and length, without the need for an expensive bow press or the know-how of a lifelong archery addict. This is important, because without the right fit, shooting a bow accurately isn't much fun. Getting into archery doesn’t have to be insanely expensive. 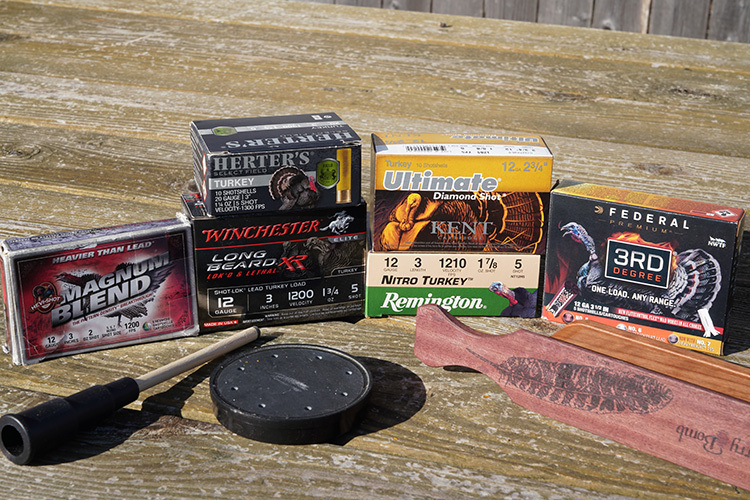 There are plenty of good, highly adjustable bows out there that retail for under $400. Before you buy your first bow, however, you’ll need to understand a few of the basics, beginning with your draw length. Measuring your draw length is most easily done at your nearest archery shop, and that measurement will not change if you’re an adult. For youngsters, it will change over time but it’s still best to get the initial measurement done by a professional (they’ll do this for free and it will take about 10 seconds). After that, you’ll want to consider the draw weight of a bow. Most first-timers overestimate their strength and end up trying to pull (and hold) too much weight. This is a disaster and will quickly discourage most new archers from sticking with it. There are certain muscles in our shoulders that most of us rarely use. However, these muscles aid us greatly in drawing a bow. Expecting too much of yourself right out of the gate is a bad idea. At best, trying to draw too much weight will kill the enjoyment of sending arrows downrange, and at worst, it could cause an injury. 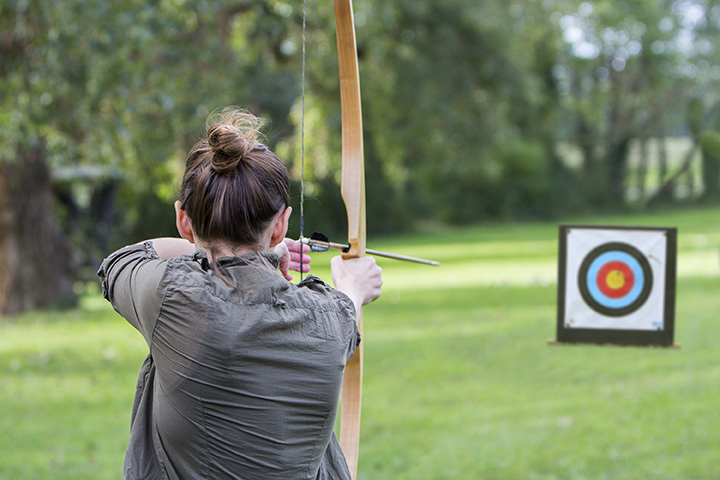 Try to hold the bow while aiming at a target, and then to draw it back straight to your face. 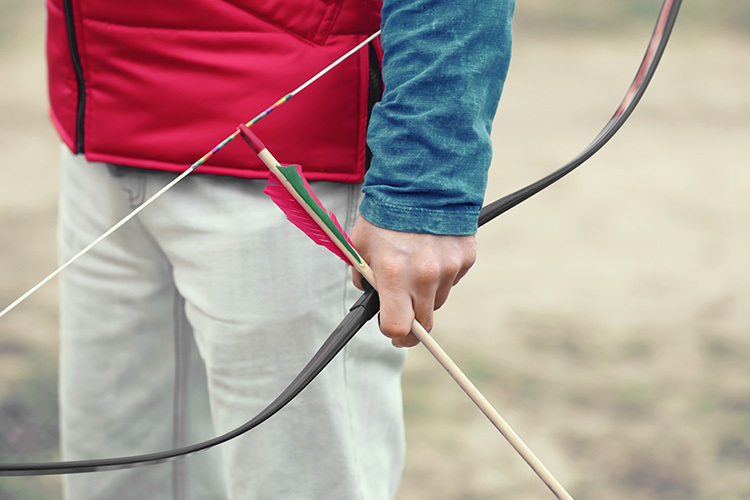 If your bow arm starts to raise to compensate for the draw, then the poundage is too high. Keep lowering the draw weight until both drawing and holding feels almost too easy. Quick tip: When given the choice, opt for a sight with the fewest pins possible. This will help you learn the aiming process more easily without unnecessarily complicating things. Getting into archery isn't difficult, especially considering today's budget bows. 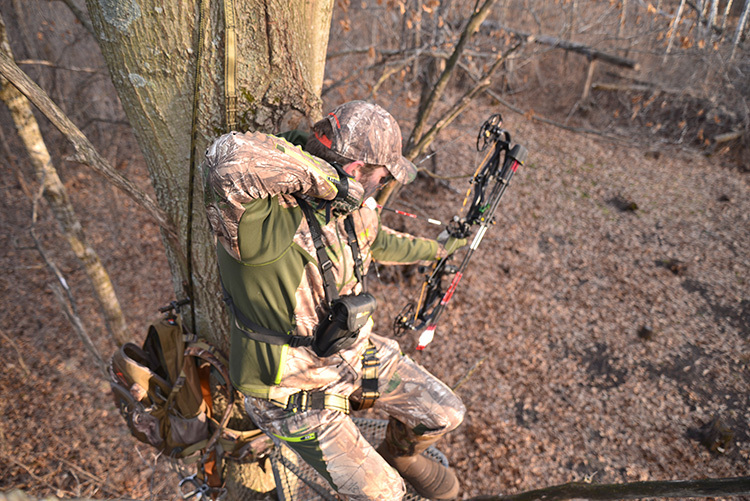 Swing into your local archery shop to enlist some help, and you could be well on your way to enjoying a new sport. Most package bows come with everything you need to shoot with, except arrows. This means your bow will have an arrow rest, a sight, a quiver, a string loop, and a peep sight. This doesn’t mean that these things will be set up properly for you and your shooting style. A good pro shop employee can help you adjust your peep sight accordingly, and teach you how to adjust your sight to get dialed in. Pay attention during this initial instruction, because these steps are easy enough to remember once you know what to do. This is crucial if you buy a truly adjustable bow (and you should), so that you’ll be able to set it up for your kids, or anyone else who might be bitten by the archery bug. The goal with setting up a bow correctly the first time is to encourage proper, relaxed shooting form that is repeatable, which results in better and more enjoyable practice. If, at any time during your initial setup, instruction, or shooting sessions, you feel your arms growing tired or your focus waning, stop. There is a tipping point in archery where you go from a positive shooting session to a negative one, and it’s always due to either physical or mental fatigue. 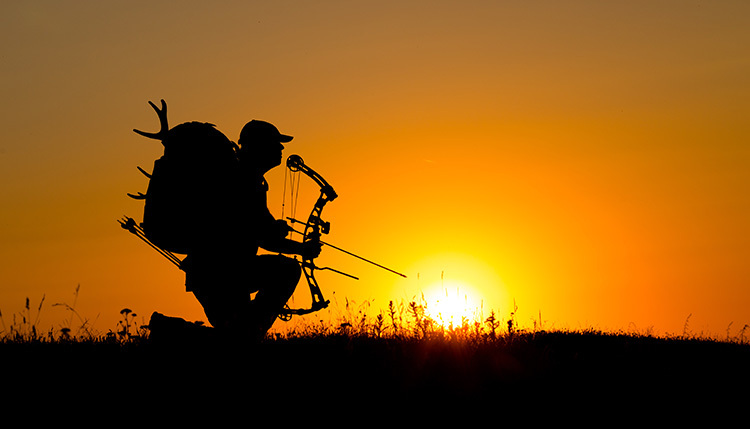 If that sounds like something you can handle, and you’ve got the springtime itch to head out and shoot some arrows, check out the following budget bow options. Odds are, one of them will fill your needs nicely without breaking the bank. The Hype DXT ($349) is an excellent choice for archery first timers. This bow offers a draw-length range of 19 - 30 inches and 15 - 70 pounds of draw weight adjustment, which means that it will not only fit just about anyone, it will also allow you to work your shoulders into shooting shape slowly. The Hype DXT weighs just over four pounds, measures 31 inches between axles, and can send arrows downrange at up to 305 feet-per-second. 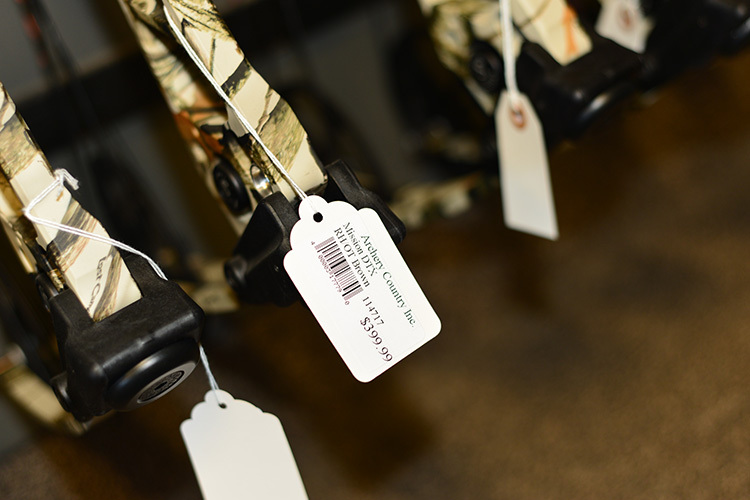 Choose from the Basic, Bow Hunter, or Pro Hunter package options to fully outfit your Hype DXT with every accessory you’ll need to head to the range or the woods. Easily one of the best values in the bow market comes your way via Diamond Archery in the form of their Edge SB-1 ($449). This bow is designed with a draw length range of 15 - 30 inches and a youth-friendly draw weight range beginning at only seven pounds and ending at 70. In other words, the 3.6-pound Edge SB-1 can be set up for a second-grader, or a full-grown adult who wants to hunt moose. This bow is loaded with cool technology, like the EZ Adjust Pocket, comes with a pile of accessories, and is a breeze to work on. While the Insurgent package usually retails for $500, I've seen it on sale for $450, which is a smoking deal considering you get a bow that is capable of generating arrow speeds up to 320 feet-per-second, weighs only four pounds, and offers seven inches of draw length adjustments (23 - 30 inches). The Insurgent is an adult-sized bow and is only offered in one draw-weight range (60 - 70 pounds). It does, however, come fully accessorized with Trophy Ridge products, and free Archery Tech Services at your local Cabela's. 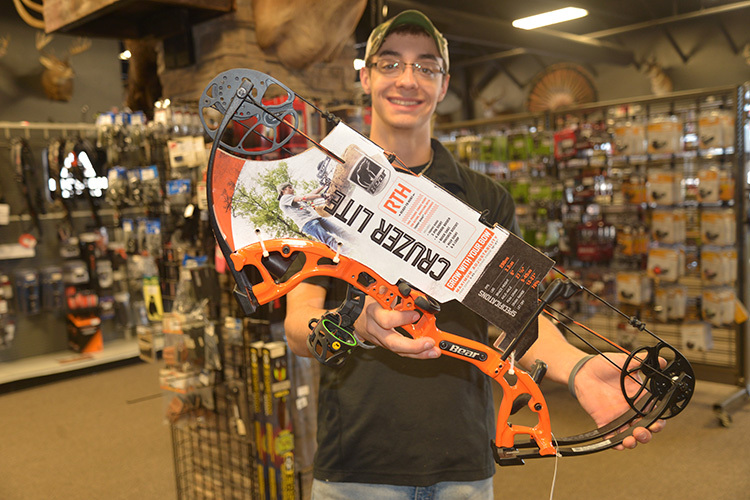 A bow that is perfect for kids is the Cruzer Lite ($300) from Bear Archery. Not only are these bows offered in crazy finish options, they are also sized perfectly for youngsters. Each 3.2-pound Cruzer Lite offers 5 - 45 pounds of draw weight and 12 - 27 inches of draw length, which means kids as young as five or six years old can easily handle this bow. 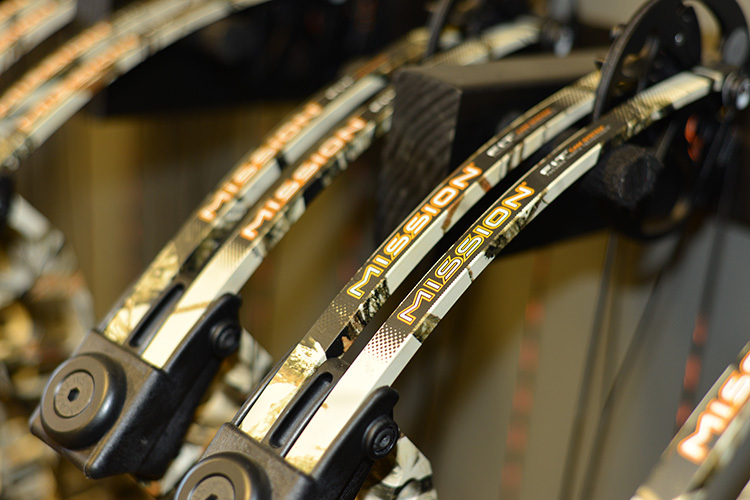 It comes standard with Trophy Ridge accessories and is one of the easiest-to-adjust bows out there.